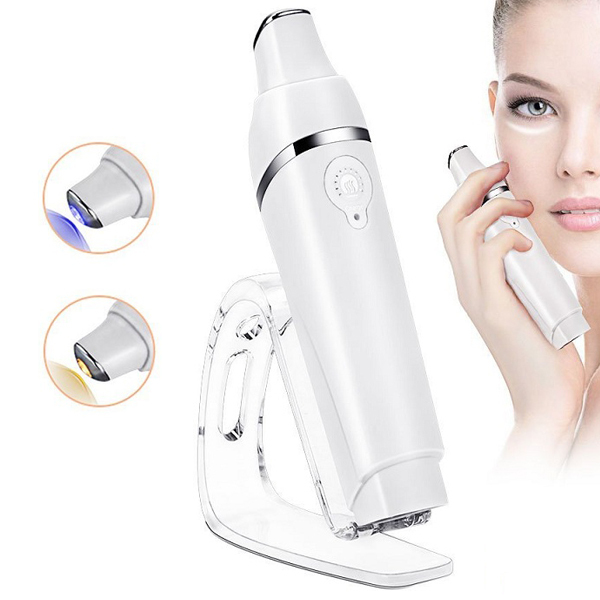 Anti-aging and a beauty industry have evolved quite a bit in the last decade or so. A vast number of anti-aging creams and treatments have emerged and have found it’s way to the customers. Besides, a lot of different techniques have presented itself over the past years as “one that works” (give the results).One of those is anti-aging facial massage. It is a technique (a form of massage) that leads to tighter, younger-looking skin and encourages lymphatic drainage of one’s face. It’s a form of a natural facelift so to speak. The tricky part is the one that considers all of that to be very expensive (and thus not available to a big amount of people). Most of the anti-aging creams are overpriced.and a pricy, massage-trained facialist is something that is not affordable to most of men. (women).This is where a Sonic Eye Massager presents itself as a perfect solution. 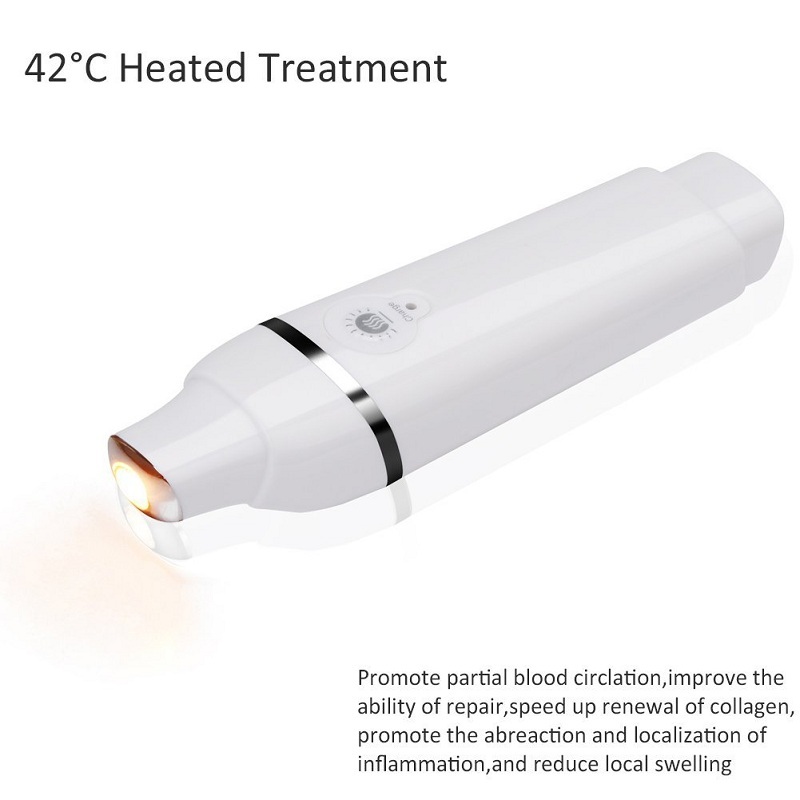 With its 7000 vibrations per minute, it can bring a comfortable massage to your skin, which helps the skin to achieve a firming effect. 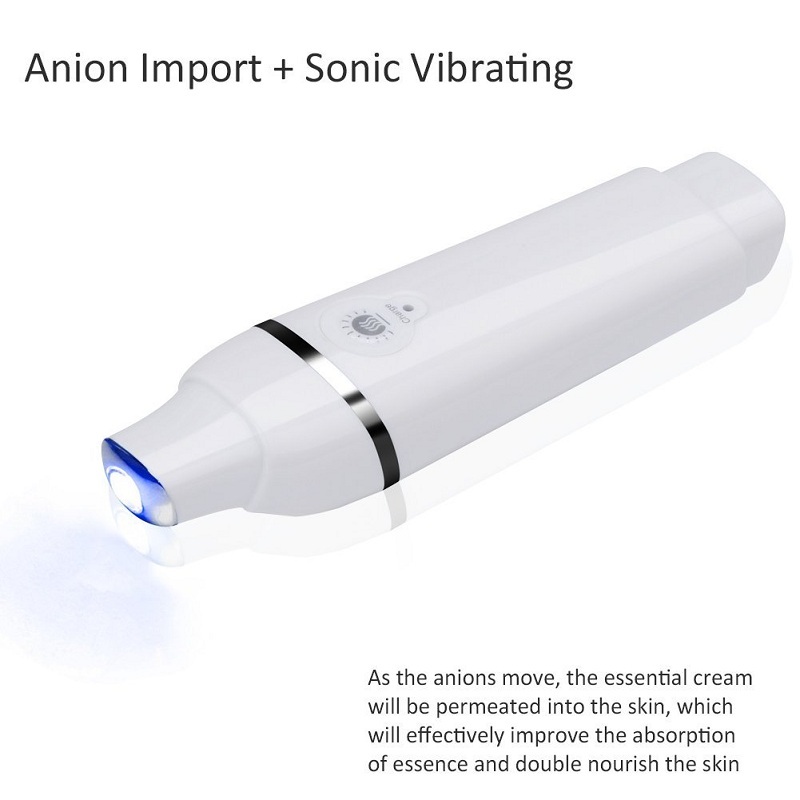 What’s more, due to the function of Anion import, absorption of eye essence and cream will be greatly enhanced with the massage brought by sonic eye massager’s 7000 vibrations so as to effectively achieve the goal of eye skin care. 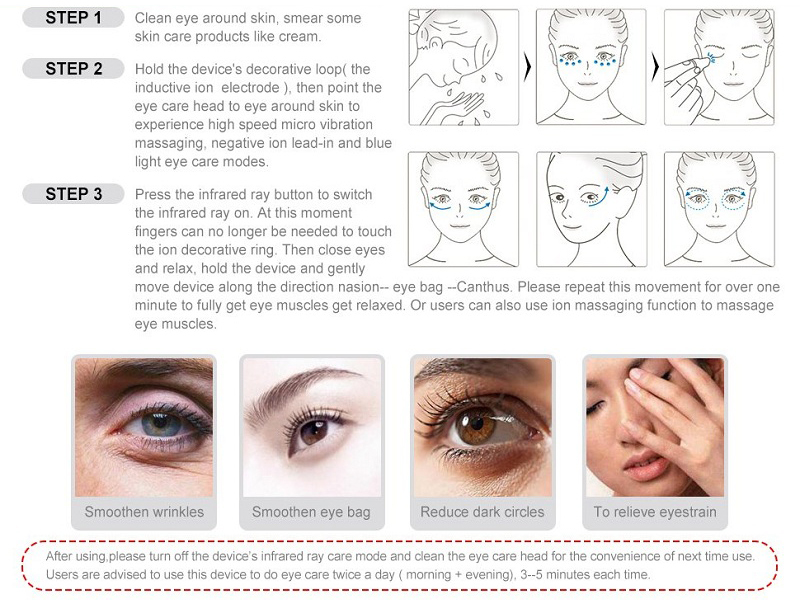 Besides, you can also use it to give a massage to your eye to deal with eye fatigue in your daily time. 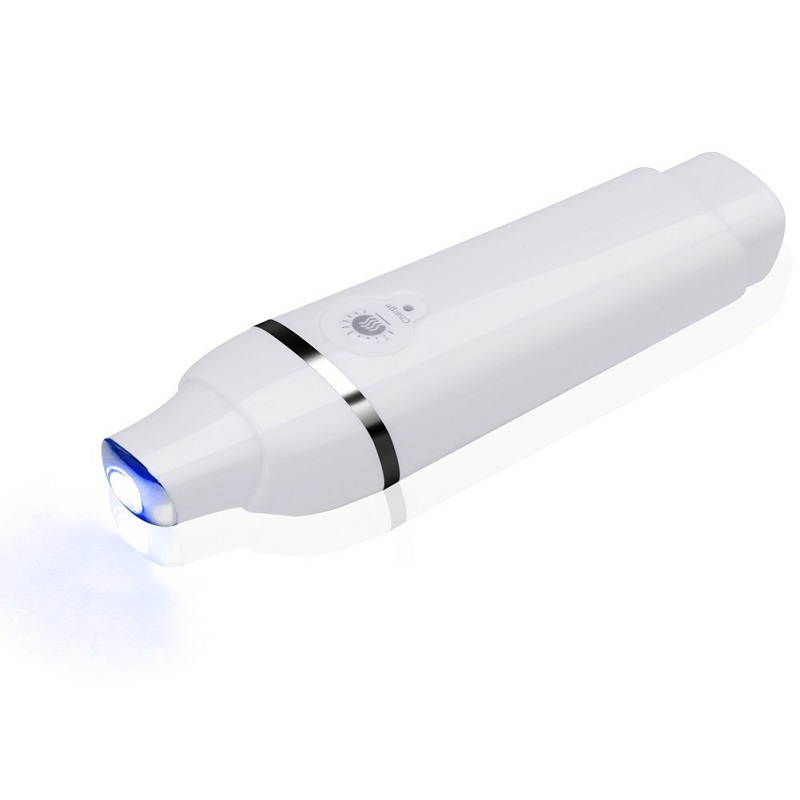 Amazingly, Lucky Fine sonic eye massager is designed to have 40-50℃ heated treatment. Through massage, the heated treatment stimulates skin cells to improve the blood circulation and to speed up the renewal of collagen so as to reduces wrinkles around eyes and remove eye bags. This sonic eye massager is equipped with the blue wave. 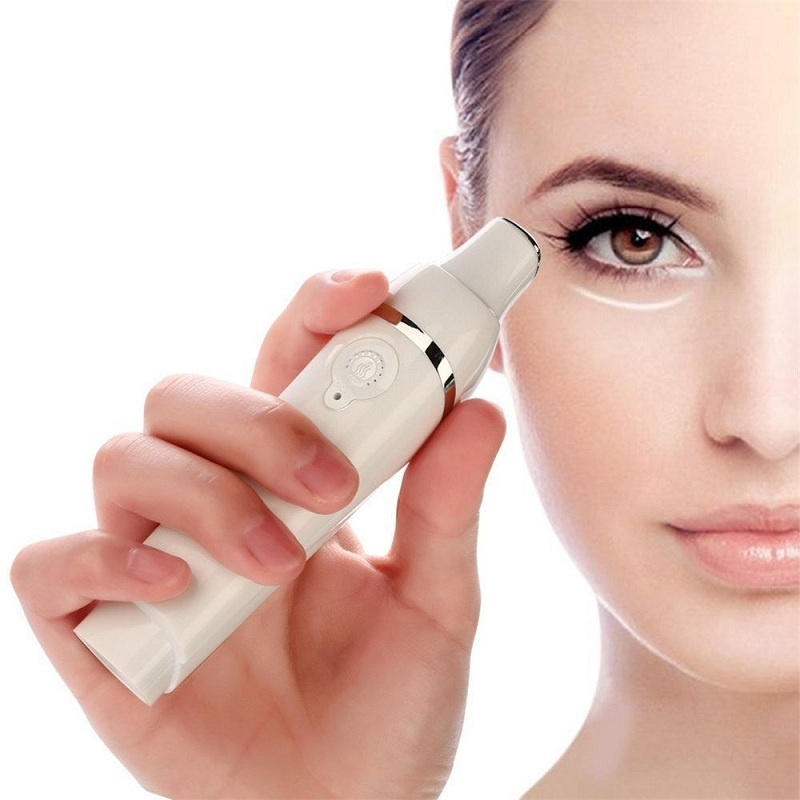 When you use the massager on you face, it can work well on the surface of the skin to help kill bacteria to keep your skin far away from inflammations. Likewise, it only weighs 84g so it will not make you feel tired when you use it. Charging by plugging in is very convenient and user-friendly for you. And it is easy for you to use it. Just hold the silver hip up against the lower eye, on top of your eye cream, and it will automatically start vibrating. Then slowly glide from side to side, moving the eye cream around and massaging it into the skin. And it doesn’t waste much of your time. About 5 minutes a session is OK. The result will be visible after only 2-3 weeks.